Anyone on a set of Michelin Pilot Sport 4S tires yet? 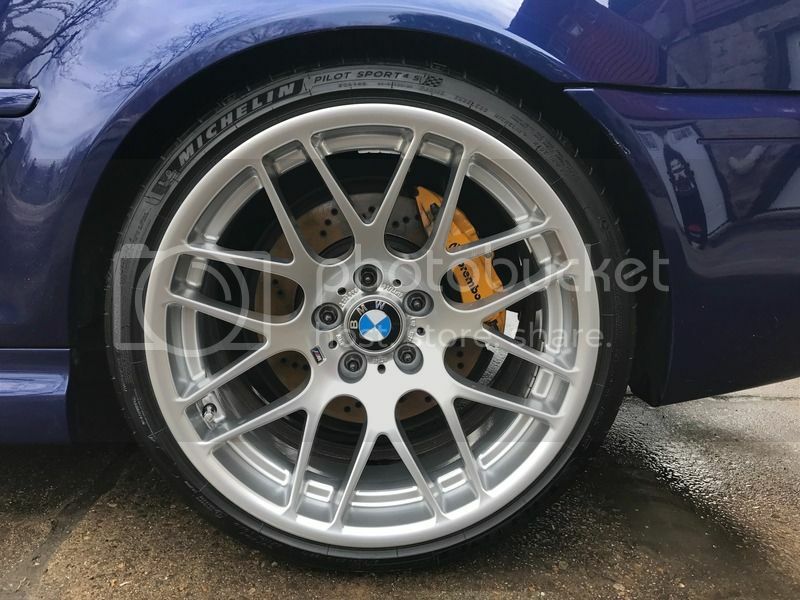 Re: Anyone on a set of Michelin Pilot Sport 4S tires yet? I have p zero nero on my golf R. too soon to say if i like them. Just put a set of the PS4s on my S6. Love em. Haven't driven in a downpour yet, but have been impressed with them on both wet and dry roads so far. PS4S did well on a damp race track. More grip than the PSSes I have on the rear of the car (oversteer city), but still have considerably less grip than 275 NT01s when the track dried (that's obvious though). Sidewalls seem stiffer than the PSS, didn't have nearly as much roll over, and thus showed less outer edge bubbling than I've seen on PSSes in the past. I'm pretty impressed. Cos he never uses his brakes. All times are GMT. The time now is 12:41:40 PM. Discussing Anyone on a set of Michelin Pilot Sport 4S tires yet? in the Off Topic Forum - Place to discuss this and that. Note: We also have "request to join" forums: Guns and Fitness.